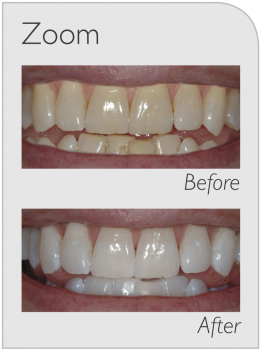 Have you always wanted a whiter, brighter, beautiful smile? What most people don’t realise is that the concentration of bleach you need to whiten your teeth can only be handled by a qualified dentist. Most products bought over the counter or online don’t have enough bleach concentration to work effectively. In fact, some of these teeth whitening systems can be too abrasive and damage your teeth in the long term- possibly even causing your teeth to uptake more stains! Teeth whitening is a simple, affordable and effective treatment option that your dentist can provide to you in a single visit. Whether it is for a special occasion, or something you’ve always been considering – you deserve the best smile you can have. At Weston Dentistry our team of qualified dentists are well experienced in the use of in-chair and take home whitening technology. Boosting the colour of your teeth can help with your smile, overall confidence and can give you a more youthful appearance. Don’t put it off any longer- call our friendly team at Weston Dentistry to book in for your zoom chairside whitening appointment today! 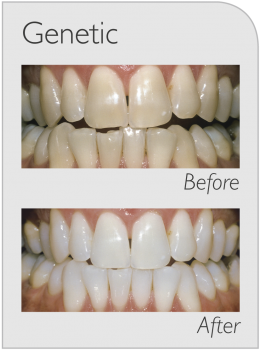 New to Weston Dentistry – we are now offering the SDI pola office in chair whitening system. This simple in-office system has a higher peroxide concentration of 35%, minimizing chair time and achieving whitening results in just 30 minutes. 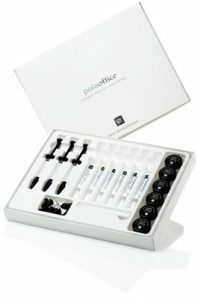 Pola office also has unique desensitising properties making this whitening option perfect for patients with sensitive teeth. There are many benefits to the take home trays; they are less expensive, you can whiten your teeth in your own time and in the comfort of your own home, and if you experience sensitive teeth it is easy to manage with the help of desensitising tooth paste. Once you have achieved the shade you are happy with, you stop using your custom trays but you keep them and any unused gel so you can use them again and again when you notice the colour fading. Like Philips Zoom whitening, this method is also external whitening, but unlike Philips Zoom whitening it is not an instant result, it may take up to 4 weeks to achieve the same results as you would with Philips Zoom whitening.